Are Your Winter Activities Causing You Back Pain? 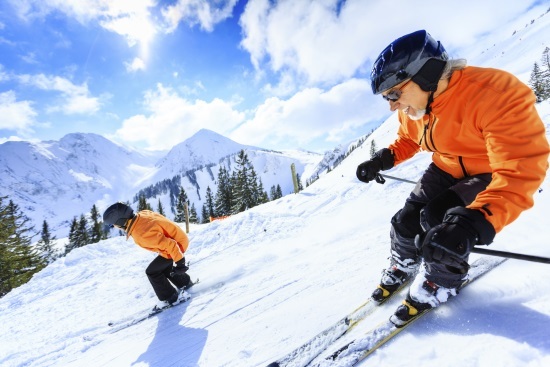 Many popular winter activities come with a high risk of back injury. The more popular winter chores and sports have varying levels of strenuousness and danger; they include tasks like shovelling snow and more fun activities like skiing and snowboarding. You should be aware of the dangers associated with your winter chores and sports and take the appropriate steps to avoid back injury. Warming up is as essential for physical tasks like shovelling snow as it is before playing sports. Remember, cold muscles are far more likely to be injured than muscles that are warmed up and flexible. A simple warm up can consist of stretching exercises for your legs, back and arms or even just going for a brisk walk. Wear the correct clothing for shovelling snow. The ideal clothing should be light and water-repellent while also providing good ventilation and insulation. You should also wear shoes that will help you to avoid falling. These shoes should have soles that are slip-resistant. Tackle the job in small sections rather than by attempting to do too much at one time. Take breaks in order to rest your back and pay attention to how well it is managing the task. Keep your loads light rather than attempt to lift overly heavy ones. Use a shovel with an extended or curved handle. These minimize the need for bending. You will not have to bend your knees or arch your back as much. Avoid smooth-soled shoes. Instead, opt for boots that provide traction on icy surfaces. Wear thick clothing that can help to cushion your body from the impact if you fall. Wear clothing that keeps you warm but that does not restrict vision or otherwise prevent you from being aware of hazards in your vicinity. Be cautious when approaching icy pavement, assume that all dark, wet surfaces are slippery. Slightly bend your knees and walk flat-footed. Try to keep your center of gravity over your feet and extend your arms to your sides to help with maintaining balance. As with any physical activity, you should make sure to warm up adequately before participating in winter sports. Be aware of what is around you. For example, be aware of the locations of objects like trees and rocks. Stay on marked trails ad avoid areas that are potentially dangerous. Maintain a winter exercise regimen that is focused on making your back stronger. Make an effort to eat a healthy diet during the winter as this can help you to avoid weight gain and thus prevent the extra stress on your body that comes with being overweight. If your back continues to be sore after following these tips, it may be time to consult a back injury chiropractor. A chiropractor will be able to handle your winter back problems safely. 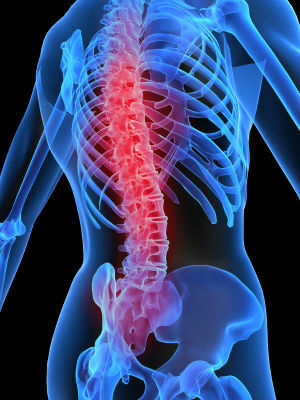 Chiropractic can reduce the symptoms of back injuries with minimal side effects. Call us on (416) 479 – 8311 to let us know how we can help you.